The aim of this presentation is to present an individual three-dimensional layering technique with contemporary composites. This novel procedure is indicated in moderate to extensive crown fractures and is considered predictable after eliminating the parameter of thickness while layering restorative materials. DSD protocol is special in that it fosters True “Team Synergy” between the Restorative Dentist to Laboratory and Specialist. This results in more predictable treatment outcomes from simple Smile Cases to Full Mouth Rehabilitations involving natural teeth to dental implants. Finally, by learning DSD’s unique connection to the Emotional component of Dentistry, you will gain skills on how to Consult, Present, and Gain High Levels of Case Acceptance. This presentation will highlight a practice-based model centered on digitally enhanced treatment for efficient and predictable esthetic restorative outcomes. 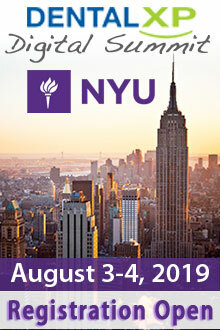 Over the past 20 years, many of us have been confused, frustrated, unsure and crazy about ... “How do I get my occlusion philosophy on the right path?” At NYU FMR we have developed tried and true techniques that are guaranteed to make you understand occlusion, contact points and mandibular movement that makes sense, is easy to diagnose and systematically treat with success. In addition being comfortable Restoring OVD, understanding TMJ joint position and treating the worn dentition. Using our SOT methods and Level 1-10 Occlusion Classification we can show you how to become successful in the “Occlusion” of your patients. Spend an hour with us and open up a whole new world of occlusion philosophy and understanding. This is the real deal! The presented Concept of Restorative Volume is based on structural, optical and periodontal factors. Each of these factors will influence the short and long-term behavior of restorations in terms of esthetics, biology and function. Nowadays the maintenance of “a nice smiling” represents the main desire of our patients and the request for tooth colored restorations is very high. Predictable and repeatable results can be achieved through materials and clinical practices that, on one hand, preserve the original structure of the compromised tooth and, on the other hand, involve a very low biologic price. New technologies for the enamel-dentinal adhesion and the continuous evolution of more sophisticated esthetic materials as composite and porcelains allow the effective reaching of verifiable and predictable results. This lecture aims to point out the relevant guidelines in both direct and indirect techniques for esthetic restorations through the evaluation of techniques and materials in order to reach correct, standardized and long lasting evidence based clinical results. Zirconia continues to play a significant role in modern restorative dentistry. From Implants to abutments all the way to frameworks and monolithic crowns. How we manage the process of bonding and cementing these restorations is extremely important to their long term retention and success. This presentation highlights the different approaches available today and specifically defines protocols with clinically relevant research. Anterior zone represents a clinical challenge in dentofacial esthetics. This presentation is unique since we will illustrate multidisciplinary treatment for the anterior zone from A to Z. Through the perspective of a Master Dental Ceramist & Restorative Dentist combined with the input of the Orthodontist we will illustrate with clinical cases the management of anterior esthetic challenges. Skeletal & dental problems are treated through orthodontics & orthognatic surgery prior to periodontal plastic surgery & finally high quality restorative dentistry gives the final touch to our cases. Extensive details of the ceramic laboratory work will be explained & illustrated for preserving as much as possible tooth structure. The complete management of anterior veneers & metal free crowns will be explained in detail. Color & shapes are an integral part of this webinar. This presentation will review currently available ceramic materials and discuss the clinical parameters and thought process used to chose a particular material for anterior and posterior tooth and implant supported restorations. Mastering the art of predictable implant aesthetics can be challenging. One of the most stressful areas for most dentists is the process of creating a beautiful provisional that will guide tissue and predictably communicate the aesthetic outcome for the final restoration in the aesthetic zone. Combining the use of a custom fabricated provisional abutment, provisional restoration and a custom fabricated impression coping many of the aesthetics challenges can be addressed. This information can then be communicated to the laboratory to ensure the most predictable aesthetic outcome possible. This program is designed to simplify and streamline the entire process of implant provisionalization and impression. This program will provide a systematic, step by step approach to tissue management, provisionalization and impression of implant cases. We will discuss basic concept regarding immediate implant placement and guided bone regeneration procedure related to the esthetic zone before focusing on the soft tissue management. We will describe the prosthetic procedures which are performed before, during and after the surgical procedures. Provisional restorations, impression techniques, prosthetic profiles and restorative materials will be presented. The purpose of the presentation is to provide a check list that will guide the clinician developing a proper analysis and diagnosis for the successful esthetic result with implant supported restoration. Skeletal & dental problems are treated through orthodontics & orthognatic surgery prior to periodontal plastic surgery & finally high quality restorative dentistry gives the final touch to our cases. Extensive details of the ceramic laboratory work will be explained & illustrated for preserving as much as possible tooth structure. The complete management of anterior veneers & metal free crowns will be explained in detail. Color & shapes are an integral part of this webinar. Individualizing solutions for each patient is the key to veneers & crowns looking as close as possible to natural teeth. The orthodontist, ceramist and restorative dentist merge art & science for the best possible results. The protocol for long term care of these anterior esthetic restorations will be presented. In this webinar, esthetic case planning and a new complete protocol of tooth preparation for full crowns will be highlighted utilizing modified enamel chisels and the dental microscope. Multimedia will be utilized for optimal visual learning using magnification photography and videos to focus on specific details required to improve your dental skills. The important role of magnification in dentistry will be further discussed. Provisional restorations have become a vital diagnostic and assessment tool to evaluate function color, shape, contour, occlusion, periodontal response, implant healing, and overall esthetics.With increased demands being placed on provisional restorations, new materials and techniques are being developed and some existing protocols are being refined to accomplish desired goals. In this webinar we will discuss criteria for provisional fabrication that will streamline seating your final restorations and ensure a great patient experience. In this webinar, Dr. Lerner will demonstrate how smile design, tooth anatomy and the shades of contour, surface texture and colour are all components of a beautiful smile. This webinar will look at the science behind bonding to dentin and review the risks and benefits of different clinical techniques. The protocol that is presented will improve the esthetic diagnosis, the communication and the predictability of anterior ceramic restorations. Dr. Aldo Leopardi's objective for this presentation is to focus on advanced clinical techniques and concepts for overdenture and fixed restoration of the completely edentulous patient. Learn how to maximize the use of current communication tools with your laboratory for minimal communication breakdowns, allowing you to meet patient expectations the first time. 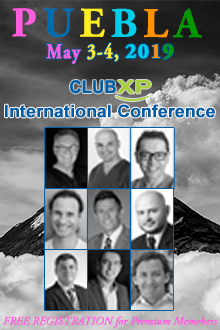 Illustrating various posterior occlusal principals, Mutually Protected Occlusion, Lingualized Occlusion and more will be discussed in relation to dental implants. Predictable longevity is achieved by a practical understanding of occlusal principles and a knowledge of how to manage the forces that exist in each individual patient and for the restorations that are envisioned. Provisional restorations have become a vital diagnostic and assessment tool to evaluate function color, shape, contour, occlusion, periodontal response, implant healing, and overall esthetics. This webinar will allow you to discover the potential benefits of the Simultaneous 2 Stage VPS impression technique in creating predictably accurate master casts. Dr. Aldo Leopardi’s objective for this presentation is to focus on clinical techniques to achieve desired treatment outcomes for stress-broken overdenture designs. A discussion of appropriate tooth/mould selection for function and aesthetics will also be addressed. This lecture will look at some easy, systematic steps to help ensure completely accurate impressions of your restorations, while protecting the biological tissues. T.G. Hornischer Jr., CDT will demonstrate the interplay of occlusal harmony, various anterior tooth form and arrangement, as well as the critical role of model articulation in developing the optimal esthetic outcome. Dr. Aldo Leopardi presents a complete denture case, from initial patient consultation to final try-in and fitting. A 5 part course worth 1 CEU. Dentists often rely on extrapolation from laboratory to clinical findings to predict the clinical behavior of dental adhesives. This lecture will give an overview of current adhesion strategies, respective advantages and disadvantages, and recommendations to optimize the application of recent universal adhesives. An evidence-based approach will highlight the myths and facts related to the interpretation of data from systematic reviews of clinical studies and a few laboratory studies. It is well known that all dental work must be under full control by operator. We always try to do our best during root canal treatment, or placing composite restorations, or luting bonded ceramic constructions. We pay a lot of attention to details and procedures, learn all new aspects of operative dentistry, follow all steps and protocols but… some time do waist our invaluable time due to challenging with moisture – saliva, bleeding, tongue, chicks, lips that are often on our way to reach the goal. And this competition is always more stressful then other most important components. Fortunately we have got great assistant for this “dirty” job that gives us stress-free conditions of working, saves our time and health and gives best ergonomics. It is rubberdam. During our lecture we will open all secrets how to use this most helpful system in operative dentistry controlling our main task – treatment. Restorative dentistry has changed in recent years. A good esthetic and functional rehabilitation starts from the proper clinical evaluation of the patient and of his problems, planning all the clinical and laboratory procedures in order to reduce the possibility of performing a subpar restoration. It is very important to have a synergy between the clinician, the dental technician and the patient and to make the right use of the protocols and a flow chart to address all patient needs. The goal is to achieve the right balance between biology, esthetic and function by applying a minimally invasive approach. Restorative margins ending subgingival are considered “normal” and out of the control of the restorative dentist, but in reality subgingival margins are mostly avoidable and preventable! We have the technique and materials to be able to consider all of the above part of the history of dentistry. In this lecture the author presents reviews significant literature and integrates it with clinical experience to select relevant factors that could provide a logical and practical guideline for restorative decisions in anterior teeth.The presented Concept of Restorative Volume is based on structural, optical, and periodontal factors. Each of these factors will influence the short and long-term behavior of restorations in terms of esthetics, biology, and function. This presentation covers the importance of a differential diagnosis for the worn dentition. The speakers highlight in a step-by-step approach how to diagnose, treatment plan and sequence esthetic rehabilitation of patients with severe worn dentition. Including smile design, shell technique for fabrication of full arch provisional, all ceramic system selection based on functional needs, adhesive system selection, and bonding sequence, with a focus on occlusal management in order to minimize porcelain fractures and complications. Nowadays our patients impose high demands to final outcomes especially in esthetically important zones. It is well known that the best way to get perfect results is minimal-invasive approach. And we can give our patients guarantied treatment based on microdentistry. Perfection, predictability, control, safety are small parts of the list of our modern opportunities that allow us to be successful. It is also proved that the role of magnification in the era of precise and non-invasive dentistry is mandatory. This webinar is about micro porcelain veneers. It based on MicroVision philosophy from planning to realization of esthetic rehabilitation. This presentation is about a patient who is unhappy with the esthetic result of her anterior restorations although functionally they are acceptable. Dr. Goldstein begins with the patient interview and proceeds to improve the patient's smile via step by step cosmetic re-contouring of the previous dentist's ceramic restorations. Esthetics and minimally invasive therapy are among the driving forces behind many successful restorative practices. Key among the tools clinicians require to deliver on patient expectations are etchable ceramic restorations and our ability to achieve a durable and long lasting bond when placing them. The technologies utilized, both ceramic and adhesive are constantly being upgraded. This in-depth webinar will address the techniques, products and technology required for the "changed" world of porcelain and composite veneers. Revisit skills in direct composite restorations such as layering with the aid of a matrix, which allows for a more ideal 3D undetectable restoration. Custom characterization and finishing and polishing will also be included. This course is worth 1 CEU. This lecture aims to point out the relevant guidelines in indirect techniques for esthetic restorations using composite resins in order to reach a correct and standardized final clinical result when restoring both vital and not-vital posterior teeth. For over 50 years dentists have been making instant esthetic transformations using direct composite resin. That technology has been enhanced by the latest nano composite materials. Although the past decade has seen greater use of ceramic materials in esthetic dentistry, direct bonding with these new composites is still a highly valuable procedure. This video will deal with correction of severe tooth discoloration using nano composites. Immediate composite resin bonding can act as either the ideal correction or as an extended trial smile so patients can live with their new smile as long as necessary. In this presentation, Dr. Fahl will introduce the necessary concepts for the general practitioner to implement direct composite restorations in the anterior segment. A systematic approach for solving day-to-day challenges will be introduced based on the physical and color properties of current restorative systems. The selection of appropriate materials for distinct areas of the anterior dentition will be discussed and presented within the realm of its clinical significance. Dr. Fahl will include tips and tricks for achieving seamless, long-lasting artistic composite restorations. This presentation will show you a step-by-step process to fabricate conservative, esthetic and functional restorations for anterior teeth that conserve tooth structure and look incredible. Despite the popularity of posterior composites, it is a topic that still creates questions and frustrations for many clinicians. Our goal is to place these restorations with ease and success to create long lasting results. We will discuss preparation design, material selection, matrices, and placement techniques. One of the most common questions I get is about predictably creating tight contacts, and we will look at several techniques to ensure this happens. Mastering composite artistry is the most challenging tooth replacement procedure clinicians are asked to preform. It requires the clinician to understand the optical, physical, handling and mechanical properties of a resin filled with quartz, silica and glass. Combining these attributes to reproduce the natural dentition three dimensionally in contour and color is our goal. Adding a bit of imagination, the clinician can create restorations that are brilliant and ultimately seamless and undetectable. Today's composite resins have truly evolved to the point where you can several 'best' choice for any restorative situation. Using various case studies, this course will demonstrate the use of a family of low-shrinkage composites and proven techniques to provide many examples of the applications of different types of composites to provide excellent results. Additionally, we will discuss how to use the photography of these cases to create awareness to current, new, and potential patients through various marketing techniques. This webinar will discuss bonding and desensitization protocols for several generations of materials. This webinar challenges the audience to understanding how to achieve long term restorative success in adhesion dentistry today. This program will include pearls from a clinician who has relied on adhesive dentistry and composite materials for over 25 years. Dr. Irvani will give an outline of both conventional and unconventional clinical applications of low shrink flowable composites in creating esthetic and durable restorations. This program will look at how we balance prep color, material and tooth preparation to achieve the final result. This live patient presentation will change the way you treatment plan and restore many patients by providing you with a practical system to confidently deal with bigger and more complex cases. This video will deal with correction of severe tooth discoloration using nano composites. Immediate composite resin bonding can act as either the ideal correction or as an extended trial smile so patients can live with their new smile as long as necessary. In this practical webinar Dr. Ruiz presents a modern approach to the traditional direct posterior restoration, which includes a time saving technique which is a real improvement in restorative dentistry, using a new material, Venus Bulk Fill (Heraeus) a material that allows for predictable bulk filling, with out voids or the consequences of shrinkage. Dr. Mike Koczarski demonstrates composite techniques that will increase speed of placement for maximum quality and optimal esthetics. Single dark teeth have some new bleaching options and materials, and the treatment options vary whether vital or non-vital. Restorative indications for anterior endodontically-treated teeth have changed, prompting a new interest in bleaching, with new techniques needed for maximum esthetics. Esthetic evaluations, bonding insights, and special tray fabrication designs will be explained, as well as when combination techniques are best utilized. The concept of at-home bleaching self-administered by the patient and supervised by the dentist became widely known in the profession about 25 years. At the time, little was known about bleaching except that application of a peroxide-based gel to the teeth could substantially lighten them in 4-6 weeks. Since then, a large volume of laboratory and clinical research have greatly expanded and enhanced our understanding of the process. This presentation provides a brief summary of what we have learned over the last 25 years, including how bleaching works and how long it lasts, safety issues, side effects such as tooth sensitivity, effects on teeth and materials, extended uses for bleaching, and over-the-counter options. There's No Such Thing As Too White - Patients' desires and expectations today make tooth whitening a necessary part of most case presentations and treatment plans. There are many contributing factors associated with tooth discoloration. Aging and the consumption of stain-causing substances such as tea, coffee, wine and smoking are the most common factors. In this webinar, the entire dental team will learn all aspects of tooth whitening. This will include photos, case presentations, tooth bleaching, taking impressions, pouring models, to the fabrication and delivery of the home whitening trays. In this webinar we will look at what we know today about the science of tooth whitening and how to incorporate the different approaches successfully into our practices. In this webinar, the entire dental team will learn all aspects of tooth whitening. This will include photos, case presentations, tooth bleaching, taking impressions, pouring models, to the fabrication and delivery of the home whitening trays. Video update of the popular procedure by a leading expert in the field. Covers bleaching chemistry, indications/contradictions, specific procedures, team care. It is evident there are a variety of malocclusion and health concerns that can be treated by orthodontic therapy. Factors from treating systemic issues to minor tooth movement can be addressed specifically to the patients’ needs and desires. Not only is it important for the dental team to be aware that orthodontics can improve one’s quality and longevity of life, but that the knowledge of current orthodontic therapy treatment modalities available will enhance the overall comprehensive care the patient receives. The starting point of a facially driven interdisciplinary dental treatment plan is "The Smile Frame". A few crucial photos and steps will come together to create the ultimate template you need to communicate to your dental team, colleagues, and the patient to ultimately increase case acceptance and create the most aesthetic and functional method of rehabilitation to your patient. We will discuss how this paradigm shift of regular analog dentistry has shifted to this modern digital world and the benefits it provides. The protocol proposed will improve the diagnosis, communication and predictability of esthetic rehabilitation, from simple implant or restorative cases to complex cases, combining perio, ortho, and othognathic surgery. Emphasis will be given to the utilization of digital tools to enhance and facilitate the Dentist/Technician interaction and communication with the patient. The replacement of a single tooth with dental implants, especially when the patient has a high smile line, has been an esthetic challenge in implant dentistry. Typically, it requires very careful stages to create the final restoration as natural as possible. When there is loss of soft tissues, carefully made dental-gingival prosthesis becomes an alternative of therapy. For all cases with high smile line, achieving perfection in color and texture of the restoration it's not an easy task. Currently there are some ways to achieve better aesthetic results, including digital scanning of colors. This presentation describes step-by-step the application of a protocol developed in our clinic. Several cases will be discussed. In addition, recent technologies such as zirconium implants are also be discussed. This course will describe a new reality in the creation of CAD –CAM generated restorations. Carestream dental has created a system which allows the user to generate ceramic restorations in office or through an internet portal to a dental laboratory. The system will allow dentist to create single unit ceramic restoration, implant abutments, printed models for orthodontics, and in the future precision implant surgical guides. The course will cover the CS3500 camera acquisition unit, its use, and export of images to the Restore software for restoration design to be milled in office, or export the image file to a desired dental milling laboratory. The design phase using the Restore software and the CS 3000 milling unit will be covered in depth so the viewer will be familiar with the CS system so they will be able to fabricate a milled ceramic restoration in either an open format, milling laboratory or a closed format in their office. A study conducted in the 1990s, demonstrated a steady rate of decline of instances of coronal caries through the 1980s. This decline was attributed to an increase in oral health education regarding diet, oral hygiene and an increased awareness about the benefits of applying fluoride-containing topical treatments such as dental sealants varnishes, foams, or gels to the teeth of individuals of all ages in moderate-to-high risk groups for caries. This presentation reviews the history, efficacy, and indications. You will learn the history of all varnishes, differences in fluoride foams and gels as well as which fluorides work best for different patients and practices. The webinar will cover the basic features of Logicon and how it works, our recommended protocol for using it, and its role in the treatment plan for the version (4.0) presently on the market, where the dentist selects the surfaces to analyze and initiates the analysis. The webinar will also describe a new version (5.0) presently under FDA review that raises digital caries detection to a new level where all the surfaces in a bitewing radiograph are analyzed automatically at one time to give the dentist (and patient) a more global view of the state of their teeth. As orthodontists, we don’t do laminates. But when we are finishing a case, sometimes the smile just doesn’t “look right”. But not all our patients either want or can afford laminates. Not all even need them to get a great smile. So, what principles can we learn from the cosmetic dentists and use in our orthodontic cases? Apparently quite a lot! In this presentation, Dr. Sarver will illustrate finishing procedures such as reshaping contacts, connectors, embrasures, and even soft tissue contouring with lasers to achieve that next level of smile presentation in your orthodontic cases. With optimized planning, precise placement of the fixture, and the use of laser technology to reduce tissue trauma we can minimize the bone and tissue changes during the surgical phase. During the restorative phase creation of proper tissue contours using the CO2 laser and control of tooth form to position tissue set the stage for obtaining optimal esthetic results. This webinar will involve a histologic study review about the key role of fibronectin, "Nature's Nectar" & why it is the Holy Grail of true regeneration. Come follow a real Professor's histologic journey in search of the Raiders of the Lost Attachment and how to get it back. This webinar will look at techniques for tissue management that support producing exquisite esthetic results. We will discuss the use of a diagnostic mock up that will convey the final tooth position and serve as a preparation guide. We will discuss color and temporization techniques and cementation techniques along with recommended products for different types of cases. Learn a practical system for restoring worn teeth, rebuilding anterior guidance, and increasing vertical dimension. Dr. Lynn Jones presents solutions for a full mouth restorative treatment while showing the benefits utilizing a microscope. A 5 part course worth 3 CEUs.